Laura O. Duran has been licensed to practice in Texas for over 10 years. 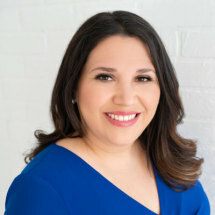 With a concentration in family law, Laura O. Duran has practiced in Bexar county and surrounding counties in Central South Texas. She is a certified Attorney and Guardian Ad Litem for Child Protective Services and Guardianships Cases. She served as Vice President for the Children's Courts Advocacy Association for Bexar County for two years. She is a skilled negotiator and advisor with proven ability inside a courtroom. She is dedicated to her clients and values personal attention to all her cases.